A substantial infestation exist around the rear entrance of the house. Termite entry point is directly beneath door way and appears to be extruding from inside patio. Photo No 1 attached. 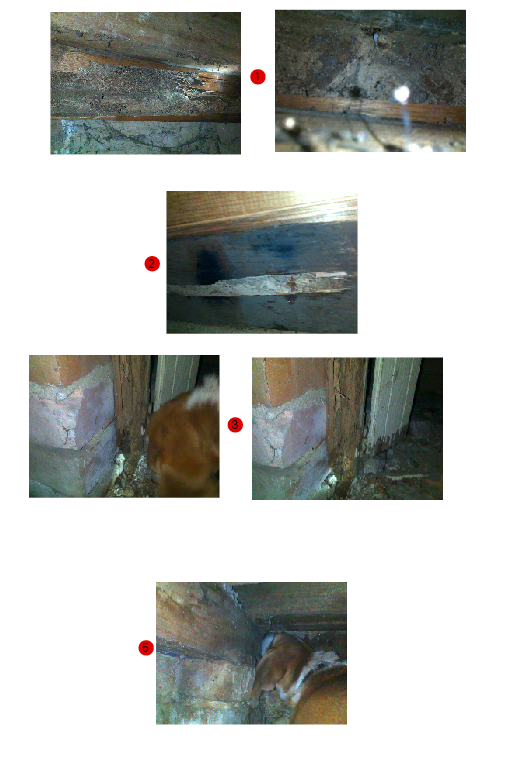 Termite dogs have positively indicated on various floorboards around entry point and on visual inspection revealed liive termite activity. 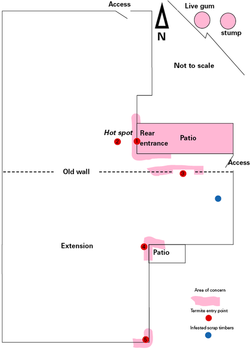 Termite activity found also in other locations as indicated on map including 2 gum trees in the centre of yard. Damage to subfloor timbers does not appear to be extensive. Although extensive damage has been observed in hardwood floor boards. Floor board damage is concealed by lino and carpet. It appears timbers attacked are mostly seasoned timbers. 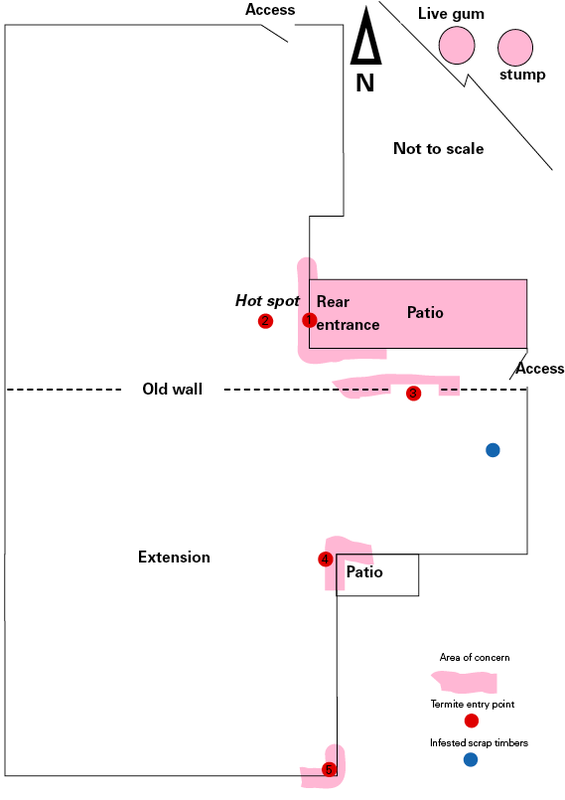 Also timber rubble throughout subfloor is currently being attacked indicating that substantial networks exist. It is recommended that an eradication treatment such as Termidor be applied ASAP while it’s most active.